Promoting deer breeding, handling, & husbandry in North America. 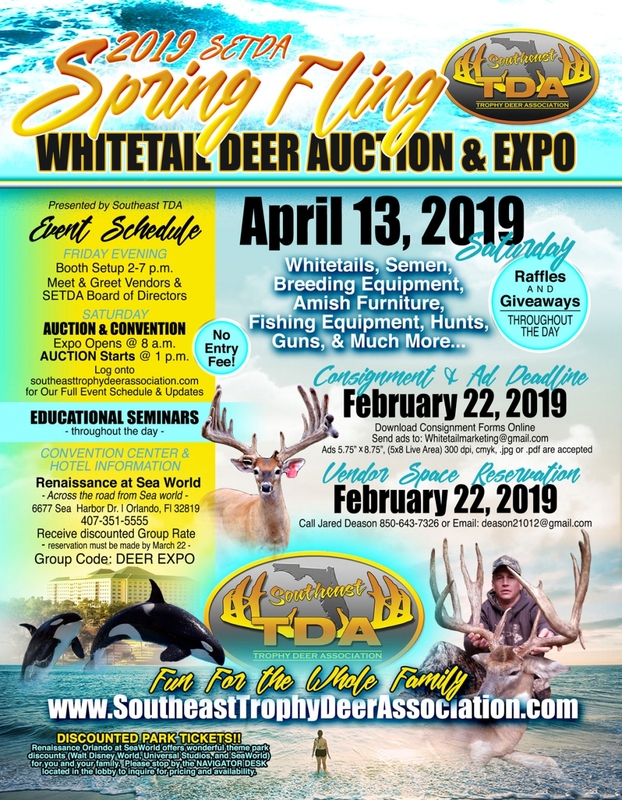 The Southeast Trophy Deer Association (SeTDA) exists to encourage and promote all ideas on breeding, handling, husbandry and farm management among its members. We promote deer breeding, ranching and all other avenues of cervid products in North America. We aim to acquire and distribute information on all aspects of deer breeding and ranching to our members and to keep members informed of all new breeding and management techniques. We represent the deer breeding and ranching industry at local, state and national levels of government, to livestock producers and other related organizations. We stand for free trade among all states and to promote the importation and exportation for all producers. We also help to establish and promote ethical standards of conduct and husbandry in deer breeding. It won’t be long before fawning season!! Southeast Trophy Deer Association shared a post. Can’t say it enough!I highly recommend attending the Southeast Trophy Deer Association Annual Convention in Florida next year. The convention is full of great people and an industry with members along with the University of Florida that are moving forward with research and experiences that are benefiting all deer farmers across the nation. It's definitely a positive experience in Orlando. 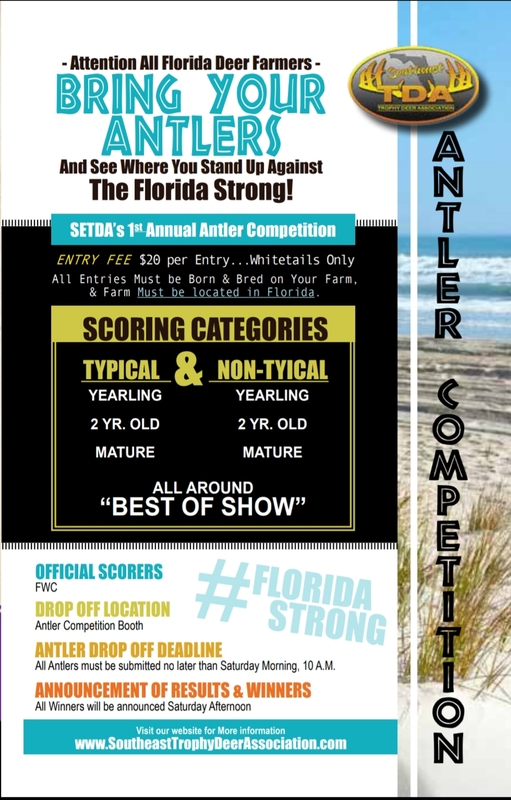 Congratulations to all of the winners of our first ever SETDA scoring competition! Southeast Trophy Deer Association is with Daniel Bontrager. To purchase an ad, booth, sponsorship or consignment entry click here. To view/download the 2019 Spring Fling Auction Catalog click here. To pay for your auction items click here.